it’s the weekend! the malls will be jam-packed for sure…with people hurrying to buy christmas gifts. i’m almost done with my shopping. just have to buy the puma el rey’s for harry. and the electrolux refrigerator for mom and dad (hush!) i found these great sandals in celine that looks like belly dancers. i can’t describe it. have to purchase it tonight when i go out for dinner with some friends. i’ll show them in future posts. 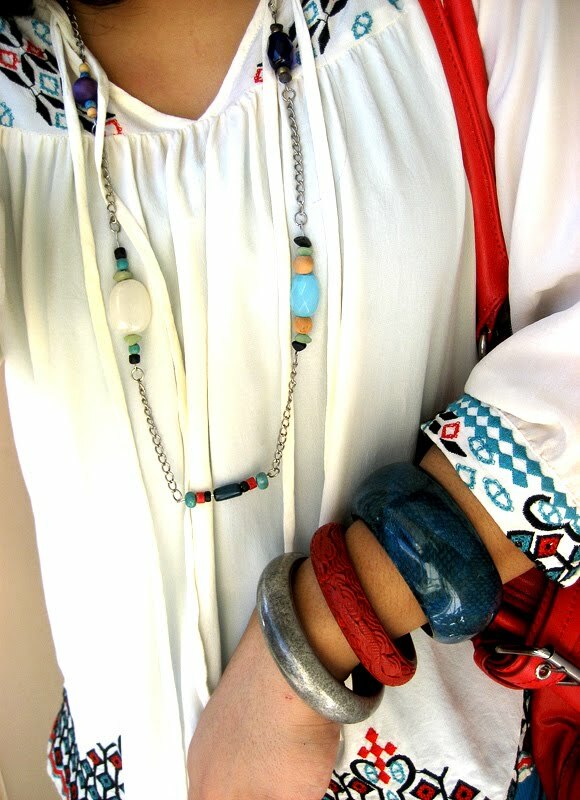 i love the mix of turqoise and red. and i love this top. 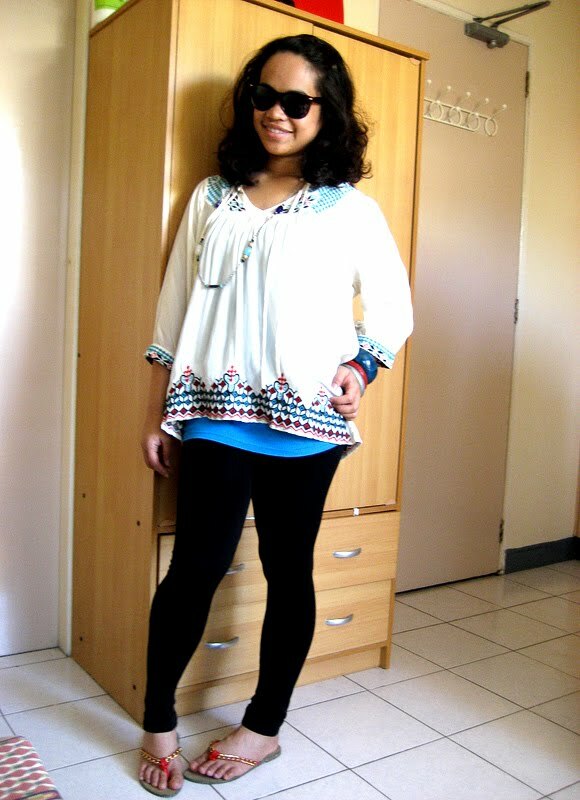 it’s my mom’s as we both love boho fashion. it’s so comfortable. 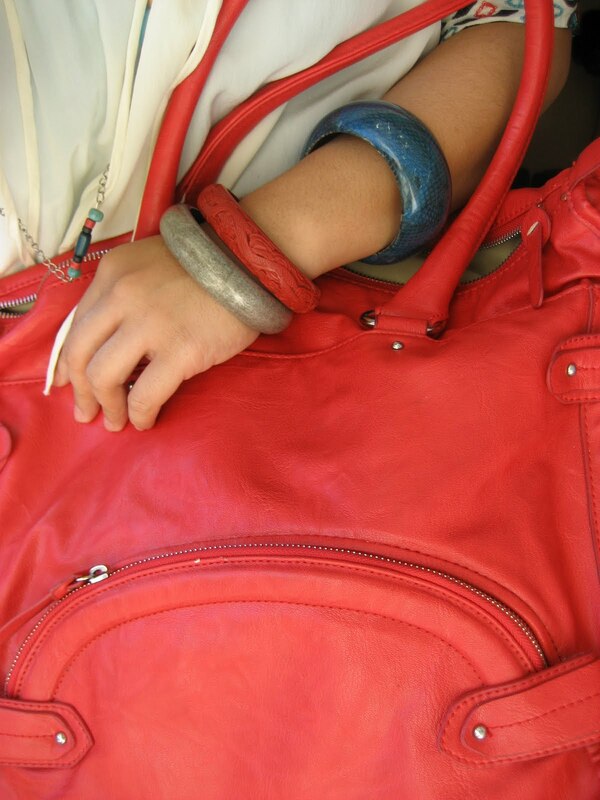 i know i might be somewhat matchy-matchy but i can’t resist piling on my turqoise-colored and coral bangle (literally made from corals) and my red flats and bag. 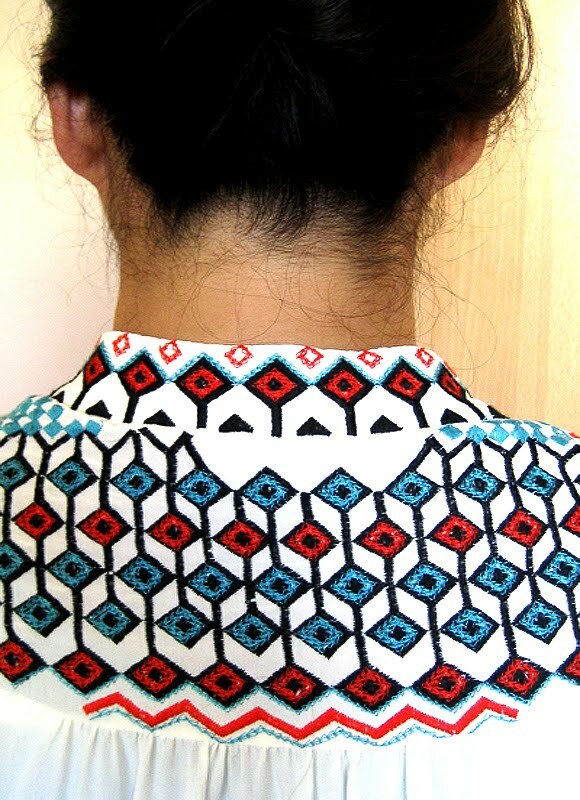 i love the back of this top too. i remember the drawings i used to scribble on my notebooks back when i get bored in class.